Fuel your internal teams and allow them to execute on the work they do everyday. 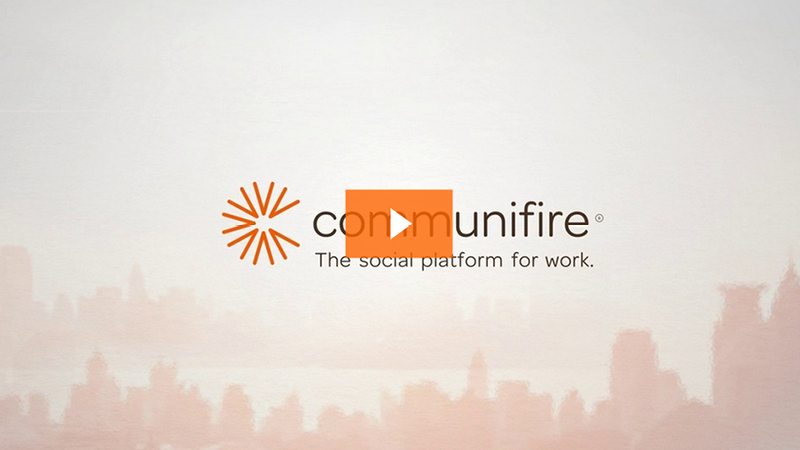 The Communifire Intranet CMS give you a complete solution to connect your employees, build and manage knowledge, keep everyone up to date, and collaborate like never before. You're looking for a smarter way to manage communication and organization information so your employees can be more productive and better informed. They're spending too much time looking for the latest version of a file, too much time sifting through emails, too much time answering the same questions over and over again. And they're disconnected from corporate news and views. The flexibility of Communifire intranet software means there are many possible solutions to your challenges, varying to respond to the unique characteristics of you specific needs. Create a hub for your business that employees find value in visiting. Stock it with news items automatically from different departments. Provide access to useful links to useful resources and other systems. Highlight featured content and bring to the surface the best content across your organization using selection criteria you choose. This is your homepage, not someone else's concept of a homepage with your logo on it. It therefore becomes a resource that your employees use daily, for news and resources important to them. End the search for content by organizing it intelligently. This isn't always by department because some projects cross departments leading to different versions of the same content existing in different department directories. Instead create a collection of Spaces to match how people are grouped together. In Communifire you can create as many Spaces as you need, even Spaces within Spaces for complex hierarchies. And then upload files into the file manager for that space, create wikis, and plan your work in that Space. Some Spaces can be public, for any employee to access valuable HR resources, submit an IT ticket or get the latest insight from the CEO. Some Spaces are private, available to all the people that need the information but only those people to keep control of sensitive information and to keep people focused on their part of the picture. Everything related to that project, department or group is available in one place, logical and easy to find. In the rare event that all esle fails, the search engine is robust and versatile. It allows users to narrow search to a particular Space, to a particular content type or even to your own custom criteria using Communifire's managed tags. With information and resources organized properly employees automatically organize themselves to get the access and updates they need to do their jobs. They can access public Spaces at any time and if interested get any updates from the Space in their personal news feed. Private spaces too, if they are part of a group then updates there come to them. The Communifire Intranet CMS brings everything they care about to them without having to check for the latest developments in each of the Spaces. So if employees don't have a reason to visit the homepage everyday that's ok the news will come to them, along with any conversation that takes place on that news. Communifire is very friendly to all sorts of different integrations. This extends from such simple connections as links and Active Directory integration or single sign on between different systems to making other systems part of the Communifire social intranet software user interface, bringing news from other technology into users's activity stream, notifications and spaces while adding Communifire's social functionality (comments, likes, ratings) to "apps" from other systems. If you can imagine it, it is important to you, and you're willing to work with us to make it happen, just about anything is possible. Communifire integrates enterprise social networking, collaboration, and knowledge sharing into a complete social intranet and CMS platform.